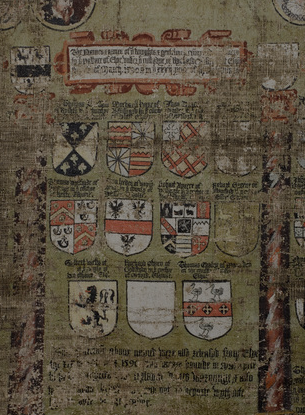 On display in the Tower Room at Coughton Court is the wonderful Tabula Eliensis – Picture of Ely. 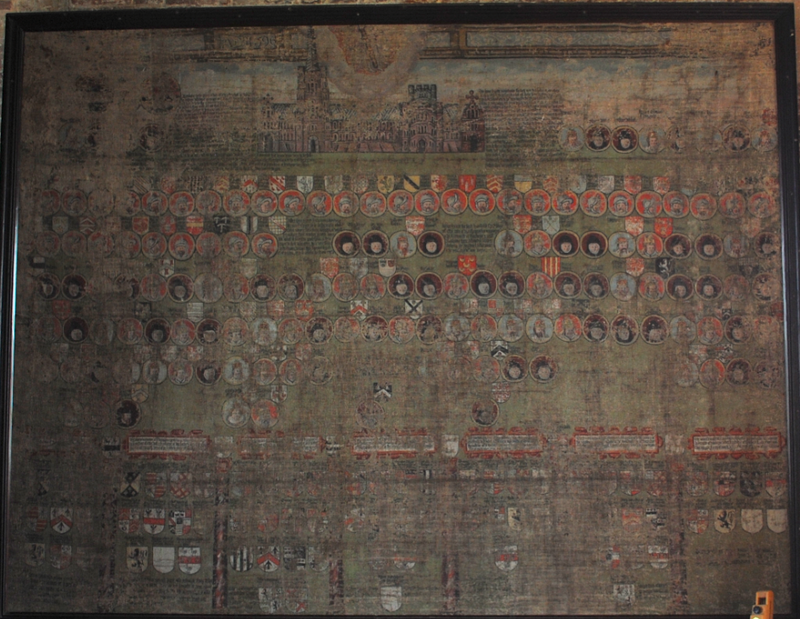 Discovered in a roof-space in 1900 by Sir William Throckmorton, the Tabula Eliensis is an oil painting on linen and painted in 1596. The painting is a protest document against the treatment of Roman Catholics who remained loyal to the Pope and commemorates those recusants (Catholics who refused to attend the Church of England) who were imprisoned by the government. Families, such as the Throckmortons at Coughton Court, were viewed as potential enemies of the State during the reign of Elizabeth I and the beautiful painting would have been created in great secrecy. 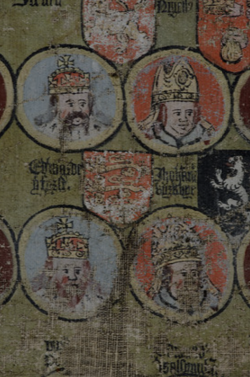 The heads of English monarchs from William Rufus to Elizabeth I are depicted and coats of arms of all the Catholic gentry are arranged below the places they were imprisoned.